The PTA raised £1995.91 from the Christmas Fair Event! Thank you for everyone who contributed their support toward this fantastic event. You child should have already received a plate ready for mufti day tomorrow. Years 1-6 please bring in an item for the Chocolate tombola. Reception class please return your cake or cakes on a plate, if your cake is homemade, please remember to list ingredients used in case of allergies. Please return on the plates with the raffle tickets attached to the base for your child to be in with a chance to win a small prize in the ticket draw. Teddies! We are running an “adopt a teddy” stall again this year, if you have any good quality unloved bears (or other cute cuddly friends) who would like a new home please can you donate them to us. Please remember to return you sold or unsold raffle tickets, the class selling the most tickets prior to the fair will win a DVD & Doughnut afternoon! More tickets are available from the office should you wish to have a final selling push prior to the fair. If you would like to volunteer to help on a stall for an hour or to help with setting up/clearing away we are extremely grateful for anything you can offer. 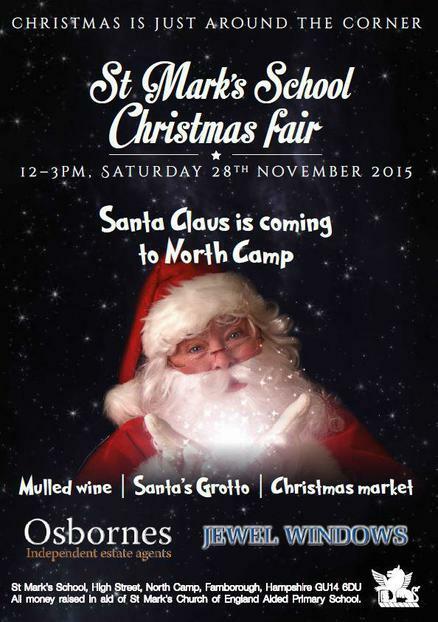 We look forward to seeing you at our Christmas fair on Saturday 12-3.